Our staff has been working to make some adjustments to our preschool structure in order to provide options for families and to meet the needs of all of our preschool students. 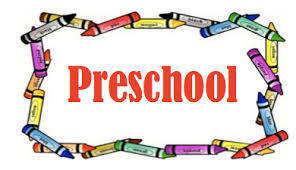 In doing so, we are able to offer an afternoon section of preschool that will be for 4-year olds only. This section will be offered on Monday, Tuesday, Thursday, and Friday of each week. Due to the school releasing early on Wednesdays for teacher professional development, all 4 year olds are invited to attend preschool every Wednesday morning. If you are interested in having your child attend preschool with only 4-year olds in the afternoons, please indicate this change by calling the office at 563-672-3221, emailing carla.till@andrew.k12.ia.us or by filling out the form below and sending it to the office. Please notify us of this preference by Friday, June 29th as we will be sending out letters to families in July to indicate when your child will be attending preschool for the 2018/2019 school year. Thank you for your partnership and for choosing Andrew for your student’s preschool experience. Yes, I would like my child to attend the afternoon section of 4-year old preschool.